May movies: You don't have to go very far out on a limb to predict a Marvel-ous month of May at the boxoffice. To begin with, Marvel Studios and Disney's 3D PG-13 fantasy action adventure "Avengers: Age of Ultron"will kick the month off May 1 at about 4,200 theatres with what Hollywood handicappers expect will be in the same $200 million area that the original "Avengers" opened to in 2012. Add to that a string of high powered originals and franchise episodes, and how can Maybe anything but amazing? "Ultron" is tracking like gangbusters, as you'd expect. Besides being an enviable double-digit overall first choice to see, it's got very high unaided awareness scores. It's tracking best and like an 800-pound gorilla with men of all ages and it's also scoring strongly with women of all ages. So Marvel can look forward to enjoying another four-quadrants appeal marketing success! Within a few weeks, "Ultron"will likely be towing Universal's "Furious 7"out of its first place parking spot on the 2015 boxoffice chart. Through last weekend,"F7" had done a turbo-charged $320.5million domestically after four weeks in first place, but "Ultron" will be a whole other force to reckon with. It seems a safe bet to be this summer's top grossing movie just as the first "The Avengers" dominated the summer of 2012– opening that May 4 to $207.4 millionand soaring to $623.4 million domestically. 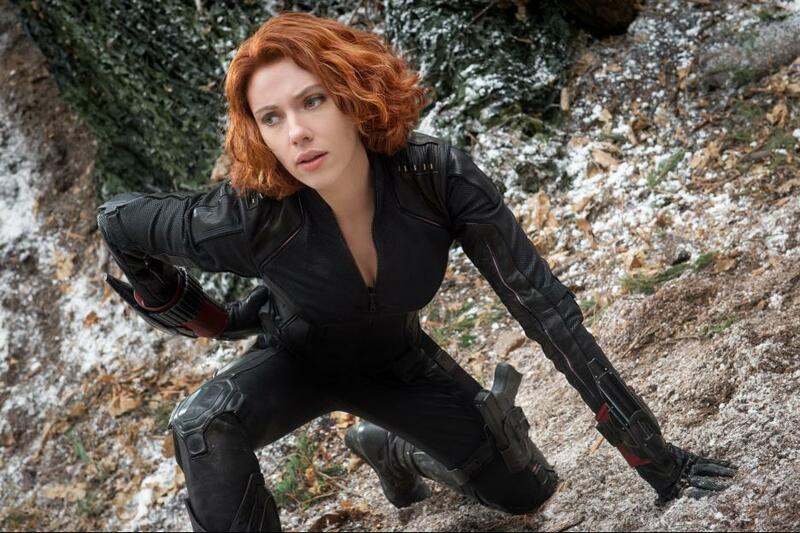 "Avengers" did $895.2 million more in international theatres, bringing its worldwide total to $1.5 billion. "Ultron" is already off and running hard internationally with a super-heroic $201.2 millionfrom its first weekend in 44 territories, according to Disney. The film "smashed its way into the international landscape this weekend, ahead of the May Day holiday in many markets," Disney said, noting that it exceeded "the first installment by 44 percent at today's exchange rates." "Ultron" was playing in just 55 percent of the international marketplace, the studio added, and ranked number one in all of them. Last weekend, by the way, did not include such major territories as Spain, China, Japan and Mexico. Next weekend will see the filmopenin Spain (Apr 30) and Mexico (Apr 30) as well as in Portugal, Croatia, Czech Republic, Greece, Lebanon, Slovakia, Slovenia, Turkey, Thailand, Trinidad, Panama, Venezuela, Uruguay, Paraguay, Peru, Ecuador, Bolivia, Chile and Colombia. It opens May 12 in China, the largest international market, and July 4 in Japan. "Avengers" was 2012's top grossing film by many miles and that could alsobe the case with "Ultron. "Its biggest competition is likely to be the 3D sci-fi action adventure "Star Wars: The Force Awakens" from Lucasfilm, Disney and Bad Robot, whichdoesn't open until Dec. 18. That probably doesn't allow "Force" enough 2015 playing time in which to beat "Ultron's"summertime cume. But it also means Disney can look forward to a truly enviable one-two punch at the 2015 boxoffice. Directed by "The Avengers" director Joss Whedon, "Ultron's" ensemble cast includes: Robert Downey Jr., Chris Hemsworth, Mark Ruffalo, Chris Evans, Scarlett Johansson, Jeremy Renner, Don Cheadle, Aaron Taylor-Johnson, Elizabeth Olsen, Paul Bettany, Cobie Smulders, Stellan Skarsgard, James Spader and Samuel L. Jackson. In "Ultron,"when Tony Stark jumpstarts a dormant peacekeeping program, things go awry and Earth's Mightiest Heroes -- including Iron Man, Captain America, Thor, The Incredible Hulk, Black Widow and Hawkeye -- must save the planet from destruction by the villainous Ultron. 2014: "The Amazing Spider-Man 2" from Marvel and Columbia opened May 2 to $91.6 million. It grossed $202.9 million domestically. 2013: "Iron Man 3" from Marvel and Disney opened May 3 to $174.1 million. It grossed $409 million domestically. 2012: "The Avengers" from Marvel and Disney opened May 4 to $207.4 million. It grossed $623.4 million domestically. 2011: "Thor" from Marvel and Paramount opened May 6 to $65.7 million. It grossed $181 million domestically. 2010: "Iron Man 2" from Marvel and Disney opened May 7 to $128.1 million. It grossed $312.4 million domestically. 2009: "X-Men Origins: Wolverine" from Marvel and 20th Century Fox opened May 1 to $85.1 million. It grossed $179.9 million domestically. 2008: "Iron Man" from Marvel and Paramount opened May 2 to $98.6 million. It grossed $318.4 million domestically. 2007: "Spider-Man 3" from Marvel and Columbia opened May 4 to $151.1 million. It grossed $336.5 million domestically. Although Marvel did have the top grossing film in May 2006, it ended the month instead of kickingit off. "X-Men: The Last Stand" from Marvel and Fox opened May 26 to $102.8 million and did $234.4 million domestically. The month began, however, with"Mission: Impossible III" from Paramount and Cruise/Wagner Productions. It opened May 5 to $47.7 million and did $134 million domestically. Understandably, no other wide releases are going head to head with "Ultron" May 1 and only one wide newcomer will compete with its powerhouse second weekend. That May 8 opening will be Warner Bros., New Line Cinema and MGM's PG-13 action comedy "Hot Pursuit." Directed by Anne Fletcher ("The Proposal"), it stars Sofia Vergara, Reese Witherspoon and Michael Mosley. It's tracking best with men over 25 and also doing well with women over 25. In "Hot," Witherspoon plays an inept police officer assigned to protect a drug dealer's widow (Vergara)from criminals and crooked cops. Fletcher's "Proposal," a PG-13 romantic comedy starring Sandra Bullock and Ryan Reynolds, opened June 19, 2009 via Disney to $33.6 million and grossed $164 million domestically. May 15 will see two new wide releases competing for moviegoers' time and money.Warner Bros. and Village Roadshow's R rated 3D action adventure thriller "Mad Max: Fury Road" is from George Miller ("Mad Max," "The Road Warrior," "Mad Max Beyond Thunderdome")and stars Tom Hardy, Charlize Theron and Nicholas Hoult. "Fury" is tracking best with men over 25 and next best with under-25 males. In the film'sapocalyptic story, humanity is broken and fighting for life. The only chance of restoring order lies with two rebels on the run –Max (Hardy), who's lost his wife and child,and Furiosa (Theron), who's trying to cross the desert to her childhood home. The "Mad Max" franchisebegan in 1980 with a second episode ("Road") in 1982 and a third ("Thunderdome") in 1985. They grossed a total of $68.6 million, which was big business at the time and would probably translate into a gross of about $175 million today. Also opening May 15 is Universal and Gold Circle Films' PG-13 rated music comedy "Pitch Perfect 2"from first time feature director Elizabeth Banks and starringAnna Kendrick, Rebel Wilson and Hailee Steinfeld. It's tracking best and very strongly with under-25 females and next best with women over 25. In "P2," the Barden Bellas, an all-girls college singing group known for performing female pop songs and looking perfect, must regroup after their disastrous finals the previous year. Beca (Kendrick), anew recruit and an aspiring DJ, hashad no real interest in college lifeuntil she meets Jesse (Skylar Astin), who's with a rival all-male singing group. Now Beca's out to find a new look and sound that will put the Bellas back incompetition. Two wide openings are on tap for May 22, which begins the four day holiday weekend ending with Memorial Day on Mon., May 25. Walt Disney Pictures' PG-13 sci-fi mystery adventure "Tomorrowland"is directed by Brad Bird ("The Incredibles," "Mission: Impossible – Ghost Protocol" and starsGeorge Clooney, Britt Robertson and Hugh Laurie.The film is inspired by the classic Disney theme park feature and that brand name recognition should be helpful in attractingfamily audiences. 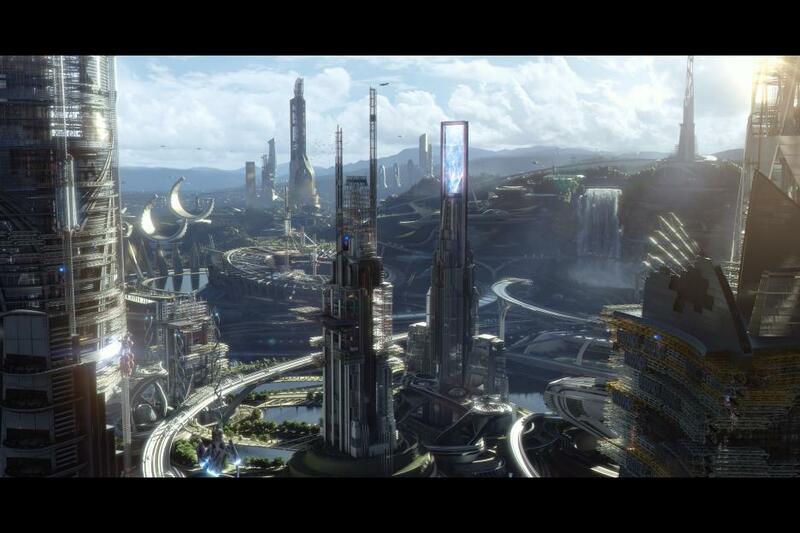 In the film, an optimistic teenager(Robertson) and a jaded former boy-genius inventor (Clooney) embark on a dangerous mission to unearth the secrets of a mysterious place called Tomorrowland that exists somewhere in time and spaceas well as in their memory. The 3D PG-13 horror thriller "Poltergeist" from 20th Century Fox, MGM and Ghost House Pictures is perfect counter-programing to "Tomorrowland." This re-imagination of the 1982 original is directed by Gil Kenan ("City of Ember") and stars Sam Rockwell, Rosemary DeWitt and Jared Harris. Among "Poltergeist's" producers is legendary filmmaker Sam Raimi, whose credits include directing the three "Spider-Man" original franchise titles and being a producer of such horror hits as "Evil Dead" and "The Grudge" one and two. In this new version of the horror classic, a family's home is invaded by angry spirits that take their youngest daughter, forcing the family to come together to rescue her. The original "Poltergeist" opened June 4, 1982 via MGM to $6.9 million and did a strong (for the time) $76.6 million domestically. The month will wind up May 29 with two wide releases.Warner Bros., New Line Cinema and Village Roadshow Pictures' 3D PG-13 action thriller "San Andreas" is directed by Brad Peyton ("Journey 2: The Mysterious Island") and stars Dwayne Johnson, Alexandra Daddario and Carla Gugino. It should play well to the male action audience, but could also attract a broader audience because of its family storyline. In "Andreas," a devastating earthquake hits California, forcing a Los Angeles Fire Department rescue-chopper pilot (Johnson) to make a perilous flight to San Francisco with his estranged wife (Gugino) to rescue their daughter (Daddario). Peyton's "Journey 2"opened Feb. 10, 2012 to $27.3 million and did $103.9 million domestically. Also arriving May 29 is Columbia Pictures and Regency Enterprises' PG-13 romantic comedy drama "Aloha," directed by Cameron Crowe ("Jerry Maguire") and starring Emma Stone, Rachel McAdams and John Krasinski. It should play best to women both under and over 25. In "Aloha," a celebrated military contractor (Bradley Cooper) returns to Honolulu, the site of his greatest career triumphs with the U.S. Space Program, reconnecting with a long-ago love (McAdams) while unexpectedly falling for the Air Force watchdog (Stone) assigned to accompany him. Bottom line:No maybes about it, May looks like the kind of month Hollywood likes best.